promote scientific communication between members of the society through regular meetings and publications. advance research in basic and comparative neuroscience and the study of behaviours via laboratory experiments. promote integration with other professionals bodies. foster fundamental and comparative scientific research contributing to an understanding of the nervous system of higher brain functions, biological basis of behaviour and its disorders. encourage and support junior scientists and graduates of science degrees to build human resource in neuroscience research. Professionally qualified person with a University Degree in any field of Science or who are actively involved in the fields of neuroscience and behaviour. Research publications relevant to the fields of neuroscience will be deemed as evidence of active involvement. Candidates with other degrees engaged in fulltime teaching and/or research work in related areas in a university or research institute. Candidates who are not degree holders but have demonstrated an interest in neuroscience. Associate members who have been members for 10 years continuously may apply to be ordinary members. Eminent neuroscientists and/or scientists who have made outstanding contributions to neuroscience in Malaysia. Students who are reading neuroscience and/or science or related subjects for a degree or equivalent: provided that a university or university-college student shall obtain the prior approval from his supervisor. Brain Awareness Day 2011 was a joint effort by the NeuroMalayisa Society and Brain Research Institute Monash Sunway (BRIMS) to inspire within the general public an interest in brain and nervous system research. 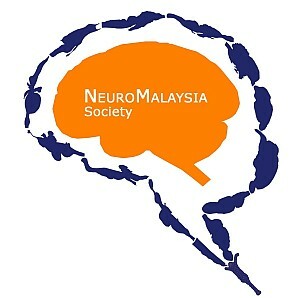 In conjunction with the International Brain Research Organisation (IBRO) School of Neuroscience held at Monash University Malaysia, the NeuroMalaysia Society and Brain Research Institute at Monash University Sunway (BRIMS) organised a Neuroscience Symposium.